Stunning 4-bedroom Newport Coast home in the highly desirable gated Sancerre. The largest model in the community, this Plan 4 is flooded with light and has been freshly painted in an inviting coastal palette. The floors on the first level have just been replaced with beautiful porcelain marble-pattern tiles, and the second level was recently upgraded with wood floors. Another upgrade is the new windows installed throughout the home a few years ago. The large rear yard flagstone patio beckons with its own built-in barbecue and ample seating areas. The 4 bedrooms, including the ensuite master, are located on the second level; all providing recessed lighting and high ceilings. 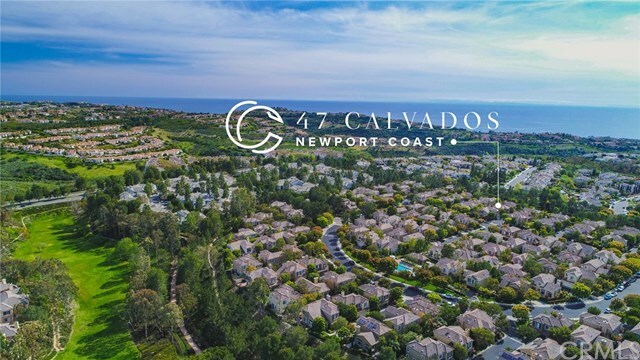 Conveniently located near Newport Coast Shopping Center, Sancerre is a beautiful community with a saltwater pool and spa, playgrounds, tennis courts, and baseball fields. Ready for move-in before summer; bring your toothbrush! Directions: Newport Ridge West to Crestridge. Enter gate on left. Follow the street to the left. Home will be on the left.